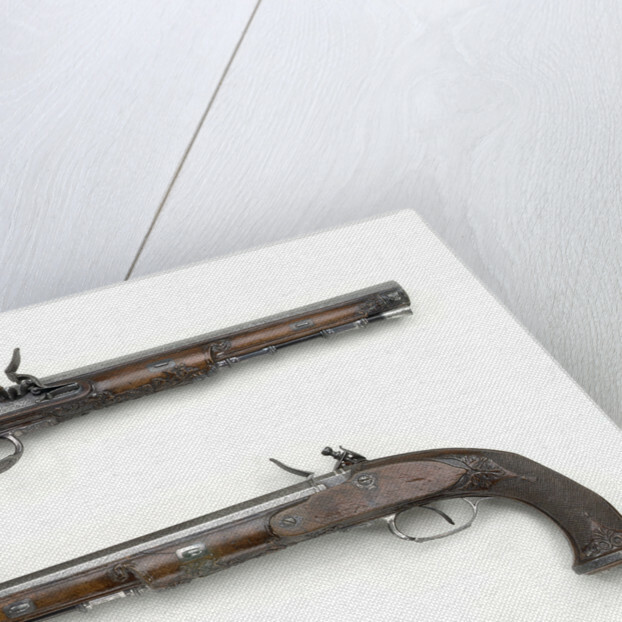 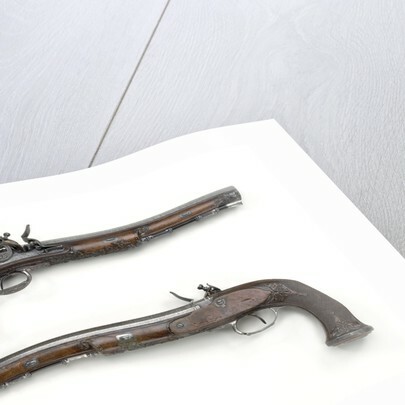 Pair of flintlock duelling (target) pistols said to have belonged to Vice-Admiral Horatio Nelson 1758-1805. 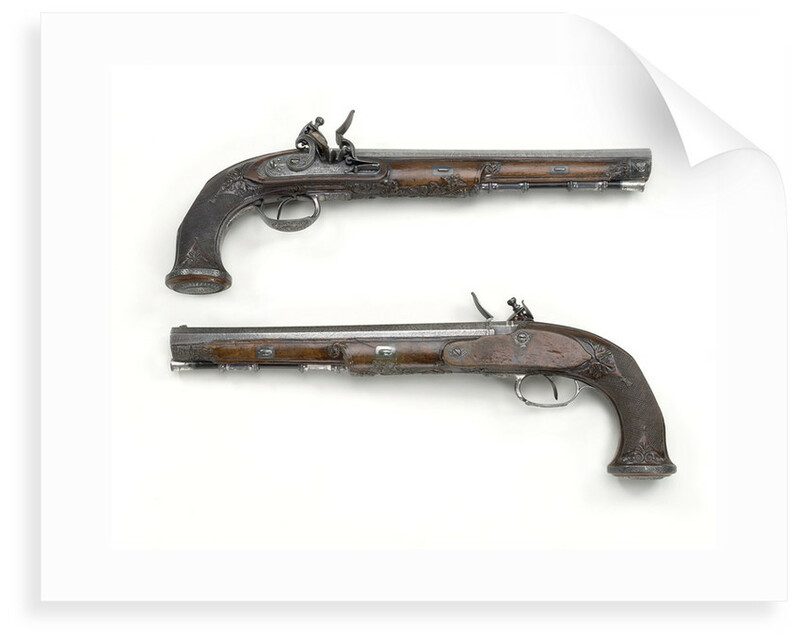 The stocks are made of walnut and are fully stocked to the muzzles. 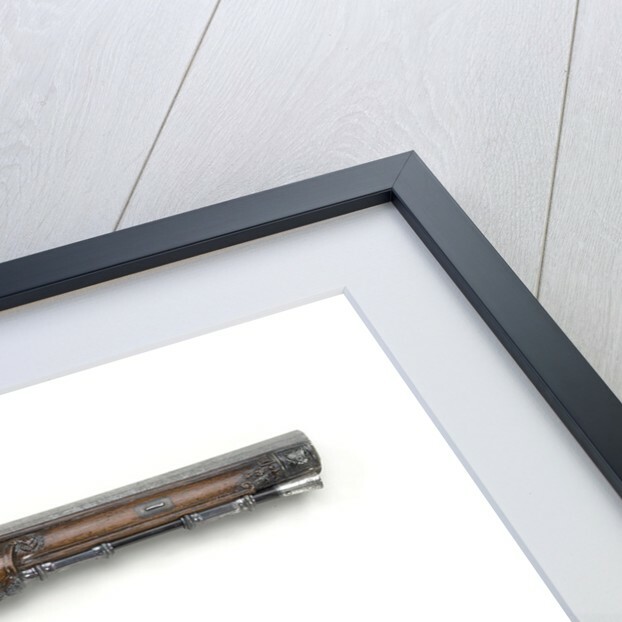 More by the artist Tatham & Egg.